Winner Announced! Using this random name picker, I fed in all the names, pressed go and waited for the winner's name to come up. Ready? Drum roll! The winner is J.D. Frost! J.D., I'm emailing your email to Patrick so the two of you can coordinate. Thanks to all who entered! Contest Extended! I want everyone to have a chance to enter, so I'm continuing the contest until Monday, Nov 24! Several years ago now, I ran across Patrick Ross's blog, The Artist's Road. Patrick had just returned from a cross-country trip wherein he had interviewed all manner of creatives and was posting videos and commentaries about each artist. Well, this was right up my alley, and I started commenting with enthusiasm. One thing led to another and Patrick and I became fast internet friends. I've watched him as he totally and completely committed to an art-centered life, earned his MFA, and perhaps most exciting of all, published his memoir about the trip. 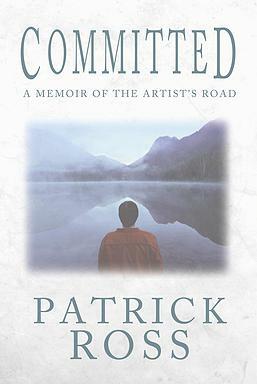 And so I am thrilled to introduce that memoir, Committed! The book details his trip across country in quite a bit more detail than his blog posts did, with candid stories about his own search for a creative lifestyle interspersed as Patrick drives between interviews. I found the interviews with creatives–ranging from writers to artists to musicians–fascinating and inspiring, but what I really loved was reading about Patrick's interior journey. It's a compelling story. The book begins with a scene you won't forget, detailing a family blow-up that ends with Patrick taking his two children, in their pajamas, away from his parents' house to a hotel. Throughout the remainder of the book, we learn of his troubled relationship with some of his family, and how that has impacted his own creativity in a negative way. One of my favorite parts of the book was the segment as Patrick's daughter Marisa came along with him on the interviews as they also journey to SCAD (the highly regarded Savannah College of Art and Design). Marisa, a devoted and talented artist, checks out SCAD as a potential college for herself–and learns a bit about her own creative journey in the process. Because of my own interests, I've focused on the creative side in this review and interview, but Patrick also copes with–and is open and honest about–his bi-polar diagnosis. This condition has a bearing on his creativity, as he struggles to create an art-committed life that also allows him balance. The book is just wonderful. It is a brave piece of writing and also a fascinating, meaningful one. So go read it. But first, have a look at the interview with Patrick below. -How did you get the idea for this trip? In the book you explain that you had funders concerned with copyright law, but I'm wondering if your creative self, as opposed to your lobbyist self, had something to do with the initial concept? I talk inCommitted about my love of driving, and how when I was about twenty-one years old I drove from L.A. to Washington, D.C., to begin my new life. I had always wanted to try the trip in reverse, but through states I hadn't driven before. When I realized the road trip would get me out of town during the build-up to the legislation, it seemed a perfect plan! –I recall from reading your blog regularly that after you returned home from your trip you did quit your job and return to free-lancing. Did that satisfy your creative desires? Largely, yes. I had to leave that job because they never would have tolerated me spending time writing for myself rather than the organization, nor taking the time to get an MFA. I gave notice to my board the moment the trip was over, but stayed on board about four months while they recruited a successor. In the spring of 2011 I was able to take classes at The Writer's Center and apply for MFA programs, and I started one that summer. By 2012 I was ready to return to full-time work (income needs) but I had developed enough of a writing discipline to continue to write while doing a day job. –The trip was several years ago. How have you changed since then? Has your vision of an art-centered life changed? I've learned you can embrace your creativity without it automatically meaning that you're embracing mental instability. Seems an obvious conclusion, but it wasn't to me before the trip. 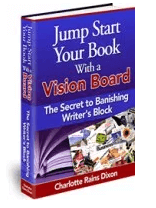 –What impact did earning your MFA have on you and your creative life? Committed wouldn't exist without the MFA; it's as simple as that. Every chapter has the fingerprints of one of my instructors on it. That said, my book profiles some artists with rich educational backgrounds in the arts and others with no formal training; they're all producing art and living art-committed lives. I think the MFA came at the right time for me; leaving that job gave me an opportunity to indulge my muse a bit, and I know the lessons I learned in the program will carry forward into future books. –I found your personal story the most compelling part of the memoir. Was it difficult to share it? Difficult would be an understatement. The original scenes I wrote were very journalistic; the narrator was not really a part of the story. When I first wrote about being bipolar I was already a year into my MFA, and while I shared it in a workshop I told myself at the time that it wouldn't actually be in the book. That's how I was able to first write about my family as well, by telling myself I was doing it solely to better learn how to tell the story but that it wouldn't be included. –Some of the personal parts you share were very brave–how did you family react to the book? My wife and children have been very supportive throughout the rocess. They were always invited to read any draft they wanted of any part of the book. I don't know how I'd feel about someone writing about me, but they have been great. –I am so curious to know what happened with your family. Did Marisa get into SCAD? She did! She's now a sophomore there, studying photography, and she now has a very nice camera. She took the author photo of me that's on the back of the book, and she has a photo credit on the copyright page. SCAD ain't cheap, however; it was her impending tuition bills that prompted me to return to a full-time day job. –And finally, in the book you describe a "failed" novel you wrote. It sounded fascinating to me. Any plans to return to it or fiction writing? 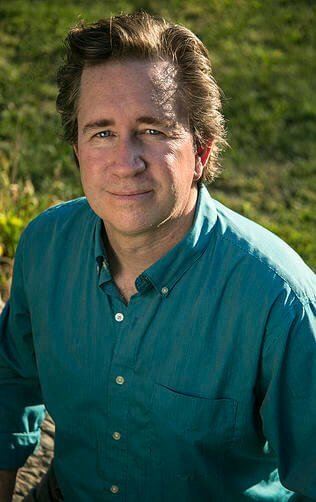 Philadelphia novelist Michael Swanwick tells me in Committed that he wrote out his garbage before writing work that was publishable. When I returned from the road trip I dusted off that manuscript and read through it. I was surprised at how much I liked it. But the last four years I've focused on growing as a writer, so I don't think I'd want that manuscript published even if a publisher wished, because I'm not the same writer. 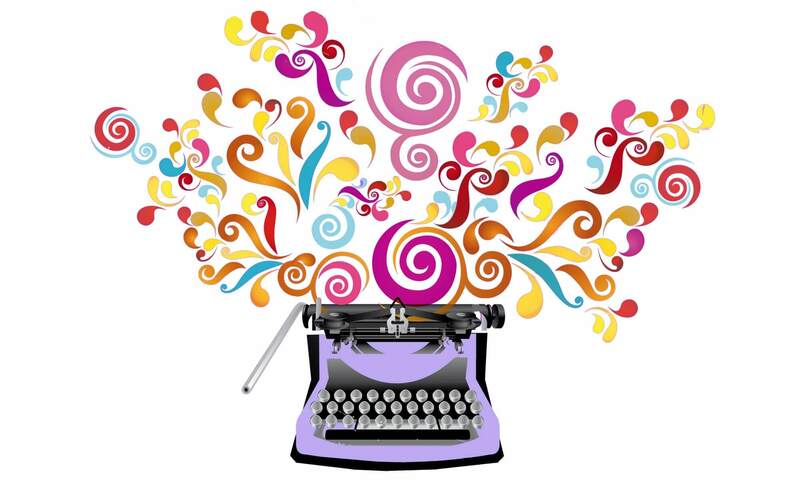 I do plan to return to fiction someday, but there is so much for me to explore in the creative nonfiction space right now. My focus at this point is on historical biography writing, including an essay that will appear in The Montreal Review in January about a father-son cartography duo who created an amazingly artistic atlas, the Atlas Maior or Great Atlas, the most expensive book of the 17th Century. Thanks, Patrick! And now, here we go. All you have to do to win a copy of Patrick's book is leave a comment, telling me which you read the most of–novels or memoirs? I'll give you until the end of the week and then gather up names and use my handy-dandy random name generator to choose a winner.